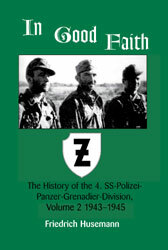 Military History Books, IN GOOD FAITH: THE HISTORY OF THE 4.SS-POLIZEI-PANZER-GRENADIER-DIVISION, VOL. 2, 1943-1945,Friedrich Husemann,J. 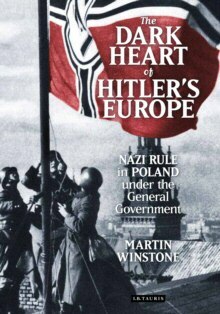 J. Fedorowicz,ISBN 9780921991960, ON THE FIELD OF HONOR: VOLUME 2,Lieutenant-Colonel John R. Angolia,Bender Publications,ISBN�0912138211, THE DARK HEART OF HITLER'S EUROPE,Martin Winstone,I. B. Tauris,ISBN 9780857735003,'General Government', WELLINGTON AGAINST MASSENA,David Buttery,Pen & Sword,ISBN�9781844155545,Peninsular War, ARTERIES OF WAR,Joseph Sinclair,Airlife,ISBN 1853102253. This second volume on the 4.SS Polizei-Division takes up their history at the beginning of 1943, and the story of 2 battalions that were sent to the Don Front at the end of 1942. The author was a former member of the division. The story takes us from the merciless forests and swamps of northern Russia, to the partisan-filled mountains of Greece, through Serbia and Romania to Hungary, in desperate defensive battles in Hungary, Poland and Germany, to the final hopeless battles near Berlin and the bitter surrender on May 2 1945. 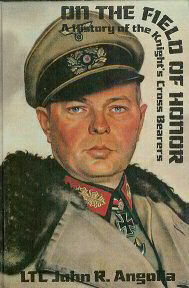 The second volume from Lt. Col. Angolia listing the recipents of the Knight's Cross of the Iron Cross, some 400 who received the Eichenlauben, or the Oakleaves. 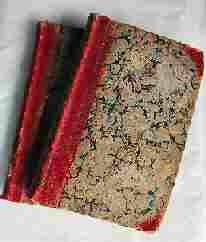 Each entry provides biographical details together with photographs of the recipients. The third invasion of Portugal, 1810-1811. 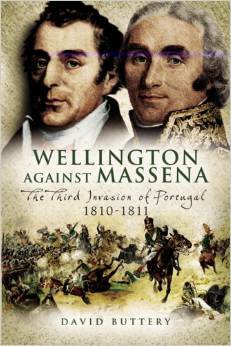 Wellington's clash with Massena was one of the most remarkable contests between two commanders in the Peninsular War. Their campaign of manoeuvre, battle and attrition across Spain and Portugal in 1810 and 1811 had a decisive impact on the outcome of the war. Wellington's reputation was enhanced, and Massena's was ruined. Using a variety of sources, in particular eyewitness accounts from both sides, the author reassesses the famous confrontations at Ciudad Rodrigo, Almeida, Busaco, the lines of Torres Vedras and the final battle at Fuentes de Onoro. Military Transportation from Alexander the Great, through the 13th Century Mongol General Sabutai, who had three extra horses for every man, up to the present day. How the fighting forces were supplied, from the camel and elephant to the railway, ship and aircraft. 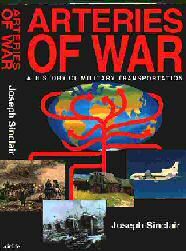 Logistics pre and post mechanization, the impact of the container, the roles of sea transport, the railway from the 1850s to Korea, The rise of air lift capability, and finally, a comment on the Gulf War.